Zod's back, but he's not going to be played by Terrence Stamp. When it comes to Superman villains, Lex Luthor will almost assuredly always rank as the Man of Steel's deadliest nemesis. However, General Zod is a pretty close second, and it sounds like he's going to be Kal-El's enemy in the upcoming Zack Snyder film. 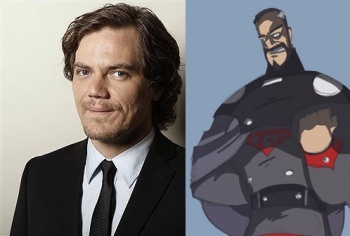 The character is going to be played by Oscar-nominated Michael Shannon. Not much has been revealed about how the character will be depicted, though Snyder himself said in a release from the studio, "Zod is not only one of Superman's most formidable enemies, but one of the most significant because he has insights into Superman others don't. Michael is a powerful actor who can project both the intelligence and the malice of the character, making him perfect for the role." Shannon's joining a pretty darn impressive cast: Kevin Costner and Diane Lane are signed on to play Clark Kent's parents, and Amy Adams is going to be Lois Lane. Henry Cavill, even though he has yet to receive an Oscar nod, has a pretty impressive performance rÃ©sumÃ© of his own, too. What will be interesting to see is what Shannon's Zod will be like. Terrence Stamp has long been an iconic representation of the character, though a lot has been done with Zod in the comics since Superman II (I'm ignoring the Smallville version, the same way I ignore the new Star Wars films). The version that appeared in the "New Krypton" storylines was particularly believable as someone who wasn't exactly an megalomaniacal villain as a fanatic who believed in his own, misguided, cause.